Regulation of Bitcoin businesses kills innovation and makes people less safe. We know this is a fact from the story of the incandescent light bulb. 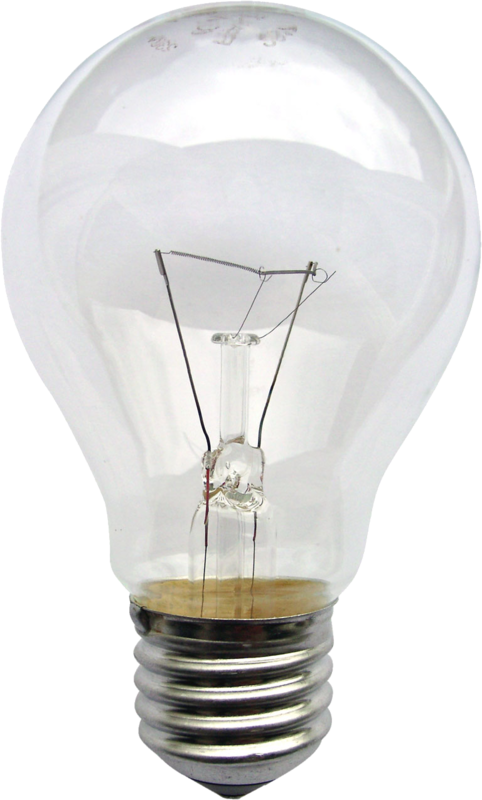 The venerable incandescent light bulb has now been banned in many countries in the west. The reasoning behind this ban was that the bulbs are ‘inefficient’, and that removing them from use will save energy and reduce the amount of ‘carbon’ that is released into the atmosphere by the people who use them. As a replacement for these bulbs, ‘energy efficient’ fluorescent light bulbs were planned to completely replace the incandescent light bulb, by the force of law. All of the production lines that used to manufacture the incandescent light bulb have either been stopped or are in the process of being stopped. 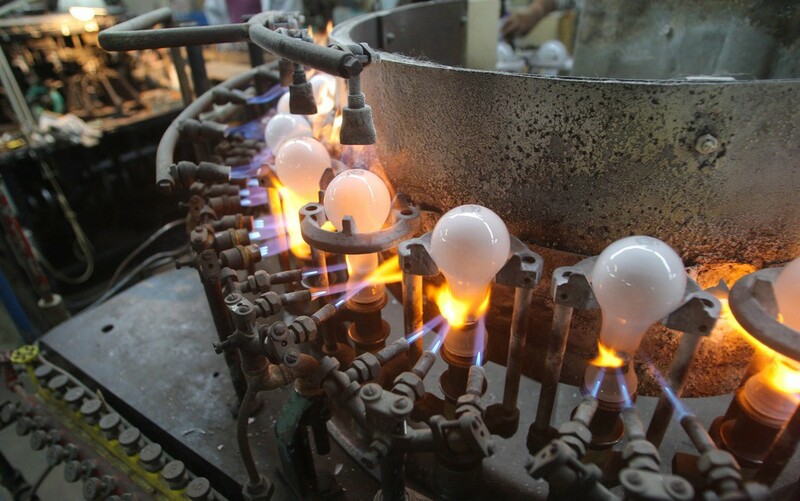 Capital has been diverted to the production of fluorescent light bulbs, and manufacturing capacity of the factories that make them has been increased to meet the demand caused by the ban on incandescent bulbs. The incandescent light bulb is an old technology, developed and patented by Thomas Edison, and refined over many decades. They are inexpensive to manufacture, made of simple, 100% recyclable non toxic parts (glass, steel and tungsten), and there are literally billions of receptacles that have been designed to accommodate their shape. Edison’s Light Bulbs are very simple, and 100% recyclable. The new ‘Environmentally Friendly’, ‘energy saving’ Compact Fluorescent Light Bulbs on the other hand, are expensive to manufacture, have plastic parts, are not simple in design and contain deadly poisons like mercury. They must be disposed of very carefully, lest the mercury escape, polluting the environment and poisoning people. The new bulbs also produce a hideous, unpleasant light that flickers at the frequency of the electricity mains. These bulbs have been demonstrated to have deleterious effects on people who are sensitive to their light, causing them migraine headaches and eye strain. Just as authorities in much of the Western world have moved to phase out the incandescent light bulb, American boffins believe they have developed a process which can make the old school lights more efficient than energy-saving lamps. Optics boffins at the Rochester Uni in New York state say they’ve developed a process in which an ordinary light bulb is zapped with a femtosecond-long pulse of extremely high-energy laser light. The laser blast travels through the glass to hit the tungsten filament, causing complex nano- and micro-structures to form on its surface. Once the lasered light bulb is than powered up, according to the Rochester scientists, it emits a lot more light for the same energy compared to an untreated bulb — equivalent to 40 per cent energy savings. The process of lasing incandescent bulbs wouldn’t be expensive, apparently, so they’d remain cheap compared to fluorescent energy-saving jobs. The process could make a light as bright as a 100-watt bulb consume less electricity than a 60-watt bulb while remaining far cheaper and radiating a more pleasant light than a fluorescent bulb. Despite the incredible intensity involved, the femtosecond laser can be powered by a simple wall outlet, meaning that when the process is refined, implementing it to augment regular light bulbs should be relatively simple. It seems that Professor Chunlei Guo of Rochester hit upon the idea of brightening-up light bulb filaments following earlier experiments in which he and his team used laser zapping to turn metals completely black. This worked so well that Guo and his cohorts wondered if they could reverse the process. It seems that Guo and his team of light bulb-blasting boffins can also produce other strange effects, getting incandescent bulbs to emit partially polarised or differently-coloured light — without the energy-wasting filters that would normally be necessary. It’s the efficiency-enhancement aspect of the studies which could make headlines, however. Both the US and European Union governments are now committed to firm timetables which will see incandescent bulbs phased out in favour of more energy-efficient alternatives, such as fluorescents. This is being done in order to save energy and so lower carbon emissions. 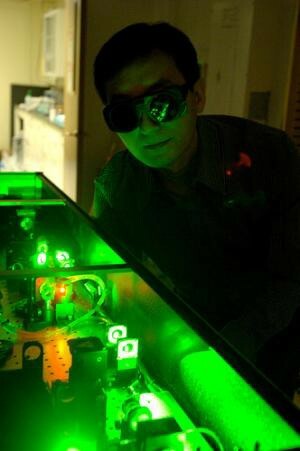 But if it’s as simple as Guo suggests to enhance an incandescent with his laser process, this may turn out to have been an unnecessary or even retrograde step. Guo’s research has been accepted for publication by the journal Applied Physics Letters, but isn’t out yet. In the meantime, there’s a pop-sci release from the university here. This is a perfect example of why the State should have no say in what technology firms must use to produce their goods and which goods people can and cannot have access to. In their zeal to ‘protect the environment’ the State has diverted capital and resources away from the well established incandescent light bulb production lines, by force, to the new fluorescent light bulb lines, that have had their manufacturing capacity ramped up in order to meet the artificially stimulated demand for the new bad bulbs. The decision to ban the incandescent light bulb was made with all of the information the legislatures had to hand; i.e. all the relevant facts about the different types of bulb that were available in 2007/2008. What they did not and could not take into account was the research in the above article, which, had they known about it, may have prevented them from legislating for the complete ban. They also seemed not to understand that electricity cannot be wasted. This is the central problem with the state interfering with technology; no one can predict the future. Now that the law is in force, we are in a situation where capital has been wasted and misdirected, resources wasted and misdirected and depending on the state of the decommissioning of the incandescent bulb lines, no cost less way back to the manufacturing of incandescent light bulbs. The state, by its nature, is incompetent. They cannot predict the future and they are not omniscient. In order to be able to legislate effectively, especially where technology is concerned, they would need to be omniscient, with perfect knowledge of every piece and field of ongoing research and technology, and the potential of each piece and field of research and technology. The enormity of this amount of knowledge is beyond the capacity of any man or group of men; it would mean being able to apply each existing technology (implemented or not) and each piece of research against each other (in the case above, femtosecond lasers, metallurgy and incandescent light bulbs), considering the cumulative effect of multiples of them upon each other in succession, and then considering the knock on effects of each of these, say, ten levels down on the tree. This would produce a multi dimensional matrix or tree with a size bigger than the universe. Only then would they be able to create an optimal plan that would maximise the production and movements of capital to reach any particular goal, and of course, who has the moral authority to choose the appropriate goals is something to consider. Applying a femtosecond laser to incandescent light bulbs is one solution that has produced significant increases in efficiency. Who knows what other treatments, changes in filament formulation, the glass enclosure etc. will produce? Certainly, the state cannot possibly predict them. What the state can do however, is prevent research and innovation, destroying potential breakthroughs, efficiencies, savings and progress. The state is a bumbler, a reactive and ignorant dealer; they are like a cave man being tasked to turn off a diesel engine that has been left running. Instead of getting into the car by actuating the door handle and turning the ignition key counter clockwise, the caveman takes his club out and beats against the hood covering engine until it stops running. Of course, he claims success when it stops, when in fact the tank has run out of gas and the engine cuts out of its own accord…but I digress. This femtosecond laser process, an inexpensive, and easy addition to any incandescent light bulb production line, would have saved billions in electricity bills, making them more attractive than normal bulbs to consumers and it would have spared the environment from tonnes of mercury contamination, eliminated the need to build light bulb recycling plants and not damaged the health of many people, with all the costs attendant on that. Then you must factor in all the other applications of this femtosecond laser technology that are now going to be delayed or which will not now come into existence. Think about it; the widespread deployment of femtosecond flashers would mean designing modular systems for resale to manufacturers; out of that design and manufacturing process, other processes will have emerged. Secondary uses of these flashers would have been subsequently discovered, which would have other knock on effects. The innovation cascade resulting from this process is what the state has destroyed. When you apply this example to any other industry or technology where the state legislates, and take into account the default incompetence that inheres in the people that make these decisions, you can begin to get a glimpse of the sub-optimal world that you are now living in. Imagine what sort of world it would be had the state not interfered in any way with any technology. To put it into perspective, think of the ubiquity of cheap mobile phones, and then apply that example to every expensive technology that the state has controlled in any way… like the automobile. Imagine how much more efficient, inexpensive, clean and beneficial cars would be had the state stayed out of the business of the details of car manufacture. ‘Consumer advocates’ would tell you that cars are safer now only because the state intervened in the manufacturing process. This may or may not be the case, but what is certain is that cars would be safer than they are now had the state not interfered with the manufacture of cars. 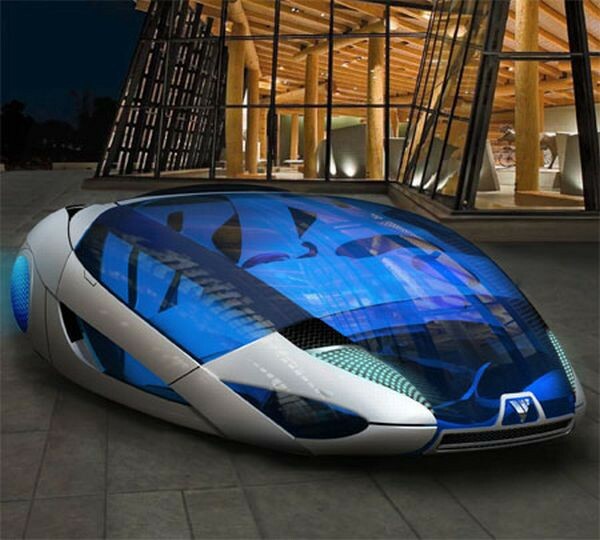 I do not know of a single person who would not pick a safer car over an unsafe one, and since competition is fierce in car manufacture, this fact would be taken into account at every point the design stage, producing just the sort of cars that people want, and cars that people did not know that they wanted. Think iPhone here; once you see it, you want it; you did not know that you would want it before it existed, you and all of the other phone manufacturers other than Apple could not even imagine it, but now that you have seen it, you want it more than any other mobile phone… the same could be said for the very idea of the cellular phone itself. Extrapolating from all of this, it is clear that in many aspects of the way we live, we are existing in a world that is grossly distorted and sub-optimal. This world could be better in every way by orders of magnitude had the destructive and disruptive state not interfered with the innovations and interactions of men. Everything that I have written here applies to Bitcoin, and the State’s desperate and misguided race to regulate it. They will end up killing Bitcoin innovation just as they did in light bulb innovation in places where they regulate, and the long term effects will be detrimental to all mankind. Innovations like Bitcoin Multisig Transactions will be abandoned as unnecessary, since the State will be there as guarantor. As we all know with the bank failures and regular stock market crashes, the State is useless at regulating the economy; they will damage Bitcoin if they are allowed to touch it in any way. The New York BitLicense costs anyone incorporated there $2,000,000 to receive a license, and then $1,000,000 per annum to stay in business thanks to imposed “compliance” rules. None of these rules will aid a single customer or cause them to be reimbursed should something go wrong. Every company submitting to BitLicense will pass compliance costs on to their customers, making Bitcoin services more expensive to use for them and only them. The companies suffering BitLicense will have two choices; leave New York entirely, or lobby for every Bitcoin company everywhere to suffer the same crippling restrictions and costs to, “level the playing field”. Leaving New York will cost far more than lobbying the State to put restrictions on all Bitcoin companies, so you can bet that this will be the preferred first move. If any efforts to pare down the BitLicence succeed, the incentive to make others comply with what BitLicence proponents believe is “reasonable” by force will be strong. They have already done the hard work, why should others get off Scott free? This is the State, pitting entrepreneur against entrepreneur. 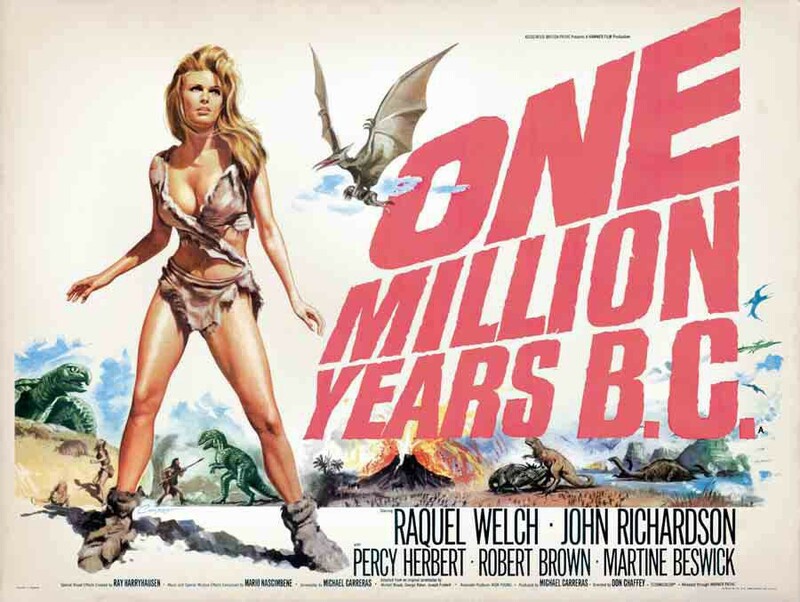 I have left out all the reasoning and logic that make the idea of a BitLicense a farce on stilts. You can read my other pieces on that subject. From a pure perspective of innovation being good for society and the State’s inability to protect anyone, or predict the future, any regulation of Bitcoin is a huge mistake. Light bulbs are not like Bitcoin. 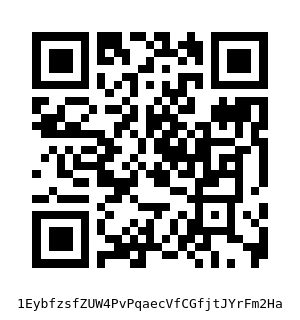 Bitcoin has no mass, needs no factories and do not need to be transported. They are data. The people who run businesses managing that data can be anywhere, and move there instantly. They do not have to close down factories, and relocate them. They don’t even have to move computers; all they need to do is buy hosting in another, better jurisdiction. And of course, only a fool would start a new Bitcoin business in New York. The world is changing. Business as usual is off of the table, and if jurisdictions want innovation, investment and entrepreneurs in their territories, they are going to have to adapt to this new reality, rather than fight it. You can’t fight the future. The Bitcoin Light Bulb Moment was originally published in Hacker Noon on Medium, where people are continuing the conversation by highlighting and responding to this story.